Posted By:Unknown | At:7:50 AM Be the first to comment! Recently, via the National Enquirer, Bobbi Kristina Brown, the now 18-year-old daughter of Whitney Houston and Bobby Brown, was shown allegedly snorting cocaine. In the wake of those photos, there have been reports from the Enquirer and gossip blogs saying that Bobby and Whitney were on the same page and had decided to make Bobby Kristina do some time in rehab. Only problem is Miss Bobbi says she ain't going nowhere. 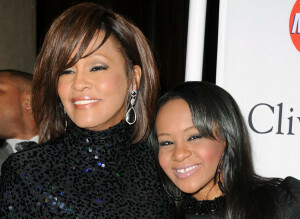 "Excuse me," Bobbi Kristina tweeted, "but I'd like to say that I am NOT going to rehab? I'm perfectly healthy and I am not addicted to anything but life." Now, is it just me or does that response sound like a precursor to a "Crack is Wack" statement. Just straight foolery. Here's wishing little Bobbi Kris the best because she sure is going to need it.